Former President Gloria Macapagal Arroyo celebrated the Supreme Court decision dismissing the plunder suit against her. Meanwhile political prisoners across the country are jailed for their political beliefs. While plunderers like Arroyo get the royal treatment, political prisoners continue to languish in jail cells. In Ifugao, human rights advocates recorded 12 political prisoners under former president Benigno Aquino. Trumped-up cases were filed against them, usually murder charges. Yet, eight political prisoners were released due to insufficient evidence. The remaining four have ongoing trials. Of those four, Reneboy Abiva and Virgilio Corpuz have the longest ongoing case. Abiva and Corpuz have been detained for almost four years due to court delays and non-appearance of the judge. Abiva is a DSWD social worker and a teacher unionist with the Alliance of Concerned Teachers (ACT), while Corpuz is a transport unionist for the Pinagkaisang Samahan ng mga Tsuper at Operator Nationwide (Piston). Both men were arrested in Region 2 and detained in Tiger Hill, the provincial jail in Ifugao. Like other political prisoners, they suffer inside their cage, separated from all their family and loved ones. 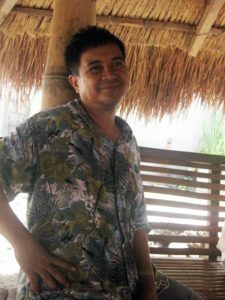 For Corpuz, the misery got worse when he learned that his mother had passed away while he has in detention for years for a crime he did not commit. And as if all the pain was not enough, the court denied his request to see his mother before she was finally laid to rest. Indeed, how much anguish should one endure before justice is attained? Unfortunately, in the present system, not only do the innocent get locked up in jail, they are made to suffer first before being released. Such was the case of Grayson Naogsan, who was arrested inside a mall in Baguio City, as a means to punish his father, the Cordillera People’s Democratic Front (CPDF) Spokesperson Simon “Ka Filiw” Naogsan. 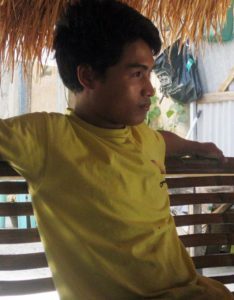 Jailed in Ifugao, he was placed in solitary confinement and barred from receiving visitors, including paralegals, as a form of mental torture. He was eventually declared innocent and released only to endure two additional trials in Abra and Mountain Province before the courts set him free because there were no witnesses. Moreover, another political prisoner was also released due to lack of a witness to prove his guilt. Romel Beyao, was a rebel returnee convinced by government promises that those who return will be allowed to live and integrate back into society. However, when he surrendered himself in Kalinga, Beyao was slapped with murder charges in Ifugao. Like Abiva and Corpuz, he had never stepped foot in Ifugao before being imprisoned. More than likely, Beyao’s arrest was motivated by bounty money from then President Aquino’s pork barrel under the national security budget. This has become a source of corruption in the Armed Forces of the Philippines (AFP) as bounty hunting for “rebel returnees” became rampant under Aquino’s regime. Ifugaos are not spared from the syndicated detention of people because of their beliefs. Modesto Hanggoy, a Kalanguya from Tinoc, and a leader of the Ifugao Peasant Movement (IPM), was arrested and is facing trial for trumped-up charges of illegal possession of live ammunition. Suspected state agents planted bullets in his house, probably because of his involvement in the resistance of the Kalanguya people against the Ayala-backed Sta. Clara mini hydro dams project in their lands. Due to the peoples’ resistance to the dam project, the Philippine Army’s 86th Infantry Battalion was deployed in the area, later replaced by the 54th IB as the investment defense force. Kalanguyas who were opposed to the project were then labeled as anti-development, anti-government, and NPA members or supporters. Anyone who is not a resident and goes to Tinoc is suspected as NPA. Then in 2012, an 86th IBPA Tinoc target list for neutralization emerged, which included Hanggoy, and 27 other peasants, activists, human rights workers, and government officials. Subsequently, he was red-tagged and vilified on social media like other IPM leaders, members, and supporters. Hence, his wrongful arrest was motivated by his political beliefs and involvement in the people’s resistance to the unwanted mini hydro dams. 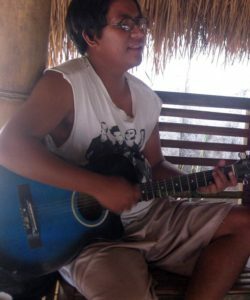 The latest political prisoner, Freddie Monguiho, an Ifugao youth from Asipulo, was also arrested and detained by the state for trumped-up murder charges. Born to poor farmer family, life in prison is made particularly difficult for the young Freddie. Having no source of finance, he has no cash to subsidize the food the government cannot provide prisoners. Worse, his family has not been able to find resources to afford the financial costs of visiting him in jail. Monguiho, Hanggoy, Abiva and Corpuz are the remaining four political prisoners in Ifugao that have yet to be released. As the cases of the other eight political prisoners have shown, their detention is but persecution for their political beliefs, and that the cooked-up charges will show nothing but lack of evidence to support its claim. Their continued detention is a violation of human rights, and a waste of the people’s money as these could have been channeled to social services like education and health. Their cases also prove that under Aquino’s term, the promised “daang matuwid” was nothing but empty rhetoric and media projection to deceive the people. In the midst of their painful journey, laughter and songs ring from their cage. These songs express their vigilance and determination for freedom, not just for themselves or all political prisoners. Certainly, these aspirations for a better society are no different from those shared by millions of Filipinos who dream of a better world for children, the future.